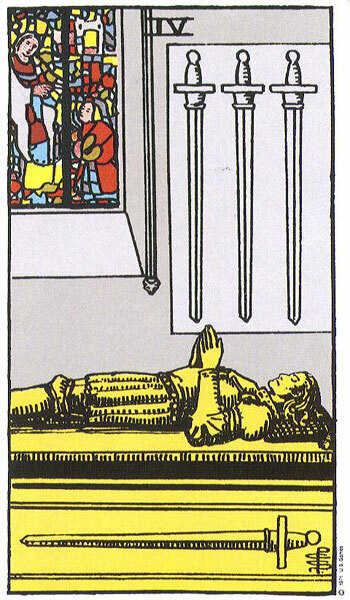 It’s been a rough week, and we all need to rest, recover, and meditate (Four of Swords). And there is one issue that is particularly weighing on our minds right now — something that needs to be thought through. Take time for that. 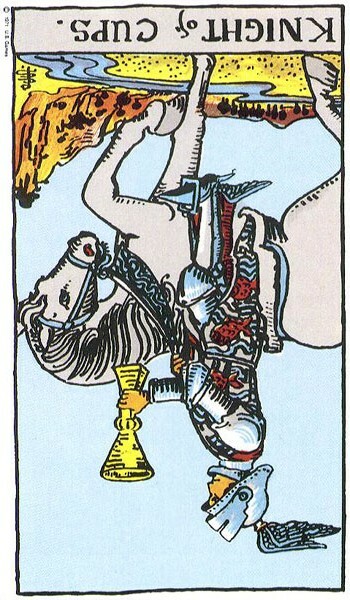 Unfortunately, I think you may also have to take time for a moody friend who wants to pour out his or her feelings to you (reversed Knight of Cups). There are a lot of those moody friends around at the moment — everyone’s had a rough week, everyone’s feeling vulnerable and touchy, and everyone’s being affected by the upcoming Mercury retrograde. So if you run into one of these moody individuals — or if you are one! — be patient with yourself and with everyone. This too shall pass.